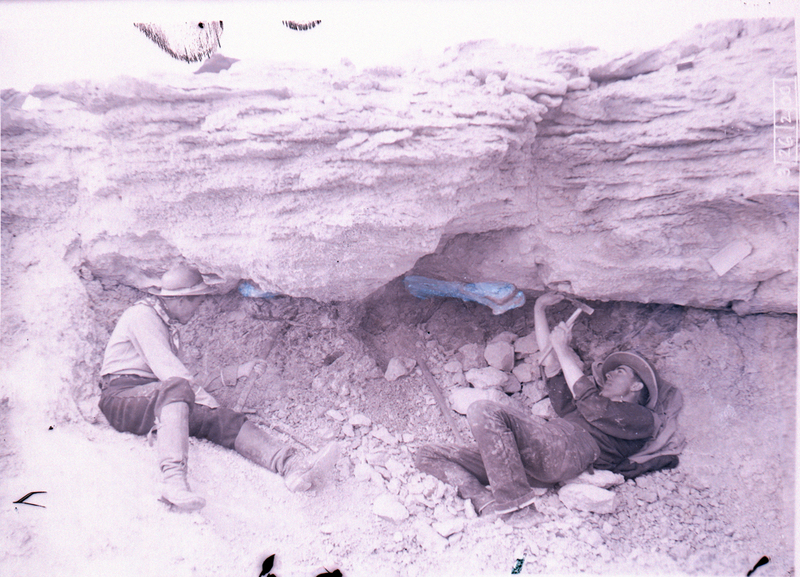 Field members at work (2 men) Two men use hand tools to excavate beneath overhanging rock. A partially excavated fossil is above the man on the right. 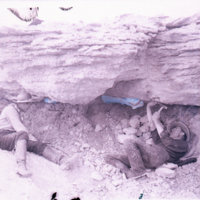 “Paleontological excavation ,” Nebraska U, accessed April 25, 2019, http://unlhistory.unl.edu/items/show/1951.